My 5 year old son is wearing the costume. 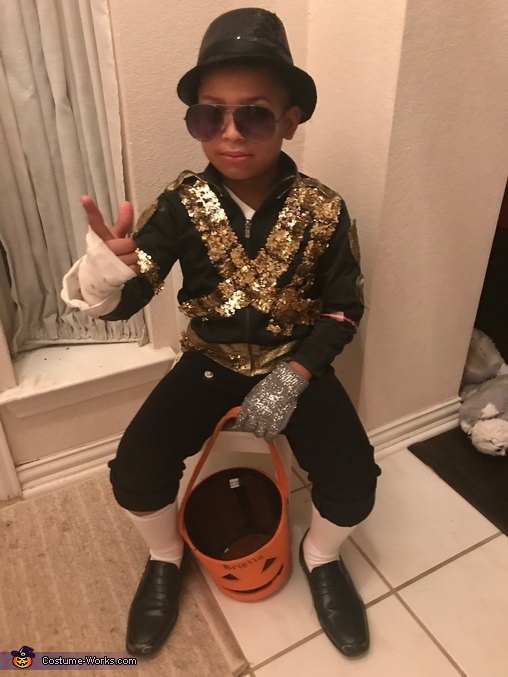 He has been obsessed with Michael Jackson since he was 2. He loves watching all of Michael Jackson’s different performances, dancing and outfit choices. By watching videos he is now able to identify all of his outfits and what sing or show they go with. This is what lead to his Halloween costume. He told me he wanted to be MJ superbowel. After looking it up I found it was the 1993 heal the world super bowel. I recreated the moment when he first appeared on the stage. See pictures below.